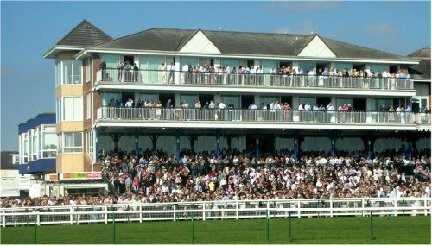 Ayr Racecourse has been voted Racecourse of the Year 2010 for Scotland and the North East by The Racegoer’s Club - the seventh consecutive year the course has won this coveted award. Ayr's great run began back in 2004, the first full year current owners Alan Macdonald and Richard Johnstone were in charge - and Scotland’s premier track has won the award every year since. Huge improvements have taken place at the track over the past seven years, including the new £4.5 million Ayrshire Suite, the introduction of new fine dining restaurants including the Roman Warrior and the Chancellor Carvery. And there’s also been huge changes made to the Parade Ring and Winners Enclosure, plus the creation of the Champagne Lawn and Gardens - the perfect place to be on a hot summer day! The honour from The Racegoers Club is highly valued by the team at Ayr, as it comes from a Club whose 6,500 members are all active racegoers. Ayr has now won the award 17 times since 1990. Lindsey Smith, Sales and Marketing Manager at Ayr Racecourse said: “We are so pleased to have won this award, which underlines our status as one of the top racecourses in the UK. There are currently 812 Ayrshire business stories permanently archived on this site. To locate those of most interest to you, please use the site search facility in the top left hand corner of this page. Type your search term in the white box, then click the magnifying glass symbol.